* No matter how you say it, a Dad deserves a pat on the back on the special day set aside to thank him for all he's done for you. 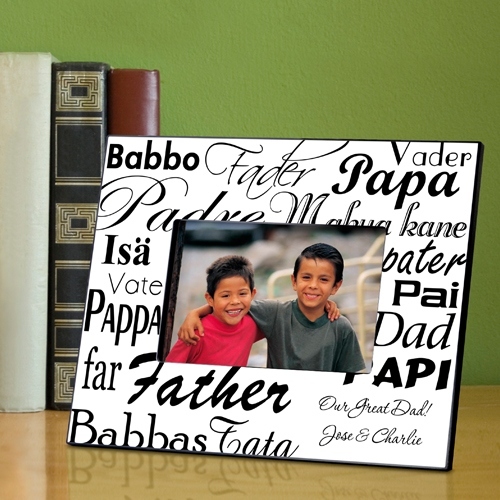 * This unique personalized frame is perfect for any room in the house, even his garage or office, and will serve to remind him just how much you care. 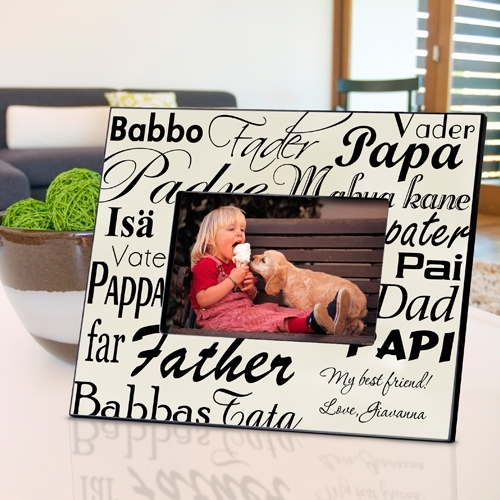 * Available in sparkling white or soft parchment, this attractive frame says “dad” in 16 different languages and a variety of fonts. * Include two lines of personalization for that special touch.